New for 2018 we are pleased to introduce the stunning collection from Shigeki Tanaka. 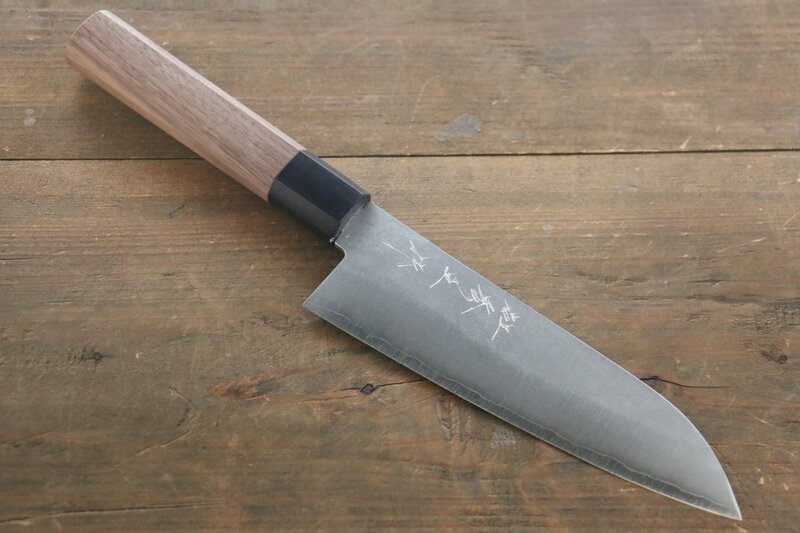 Mr Tanaka is a young skilled craftsman, making a name for himself as one of the very best blacksmiths of his generation. 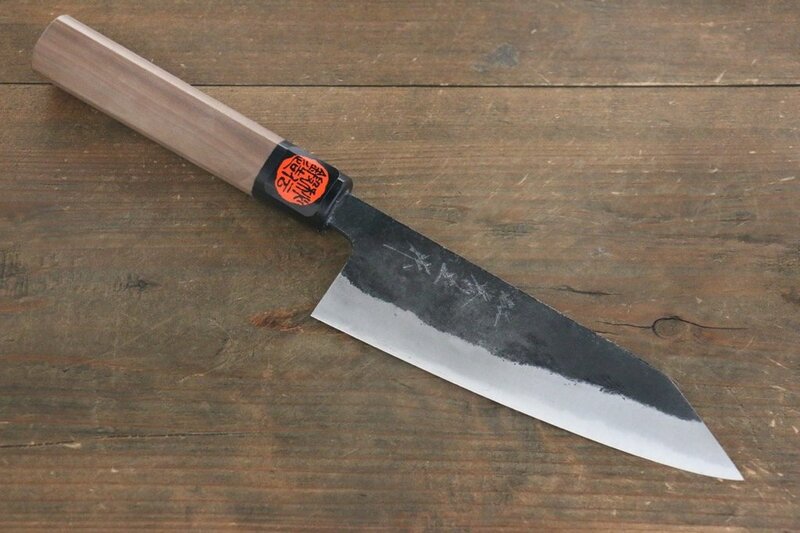 Priding himself on using traditional methods and innovative designs, he prefers to use very little machinary in production, only making small runs of knives at a time. 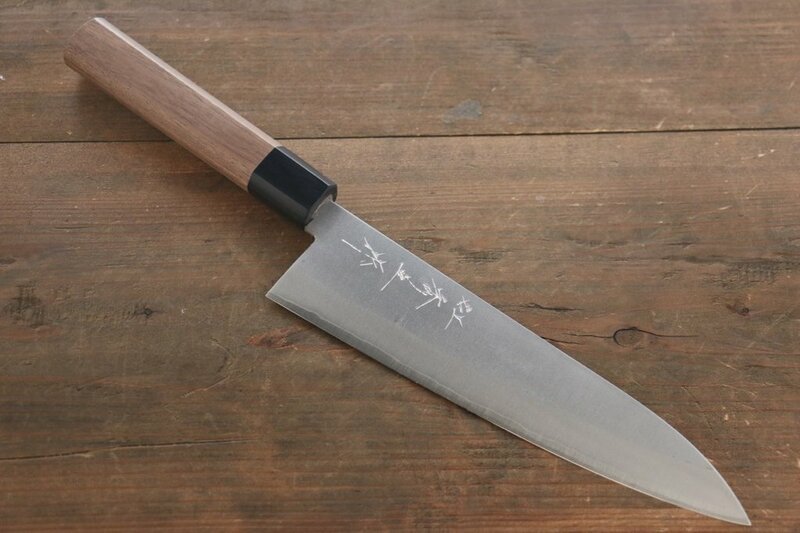 ​​This beautiful shaped paring knife, with an extended heel, for us makes this a stand out knife. Good to use in the hand when peeling fruit and comfortable when chopping on a board. "It's hard to explain but you really feel the difference when slicing with a carbon steel blade"
A really nicely weighted Nakiri from Shigeki with a slightly more curved blade, great for chopping but also suitable for slicing. The double bevel and octagonal ('WA') walnut handle means this is an ideal knife for both right and left handed users. Shigeki Tanaka is a fourth generation blacksmith. 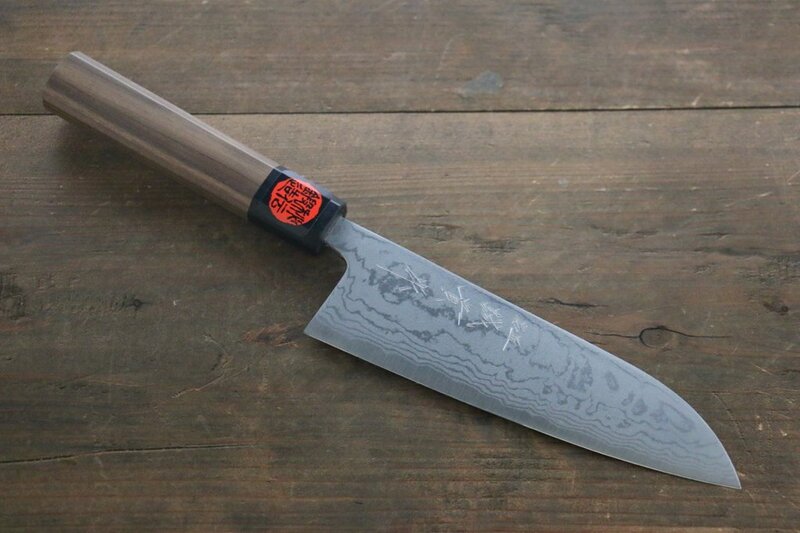 His knife-making path began in the city of Takefu (the current city of Echizen in Fukui Prefecture), where Mr. Tanaka was trained to be a knife blacksmith. 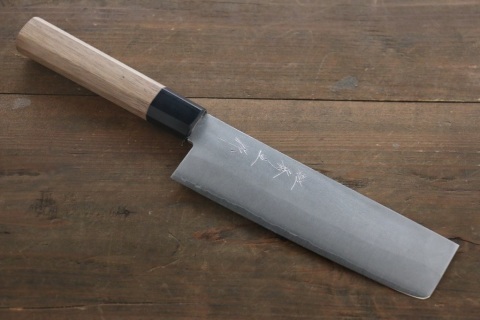 After three years of training, he joined his family’s factory in Miki City in 1999 and started making kitchen knives. He has four people working with him at the factory and all the knives are handmade. 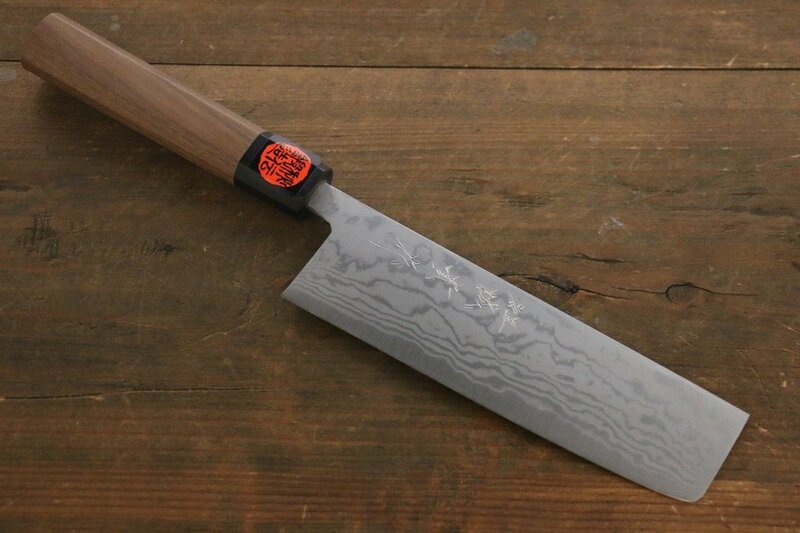 Due to his excellent knife-making skills, Shigeki Tanaka is one of the most recognizable blacksmiths in the city of Miki and his knives continue to be loved around the World.